I know you’re probably thinking this is a little early, but it’s actually pretty late. A few weeks ago, Abby and I made a homemade pumpkin pie. Okay so, obviously, everything I make is homemade. But this was really homemade. The pumpkin from the patch was IN the pie. No can required. Curious to see how we did it? So am I. 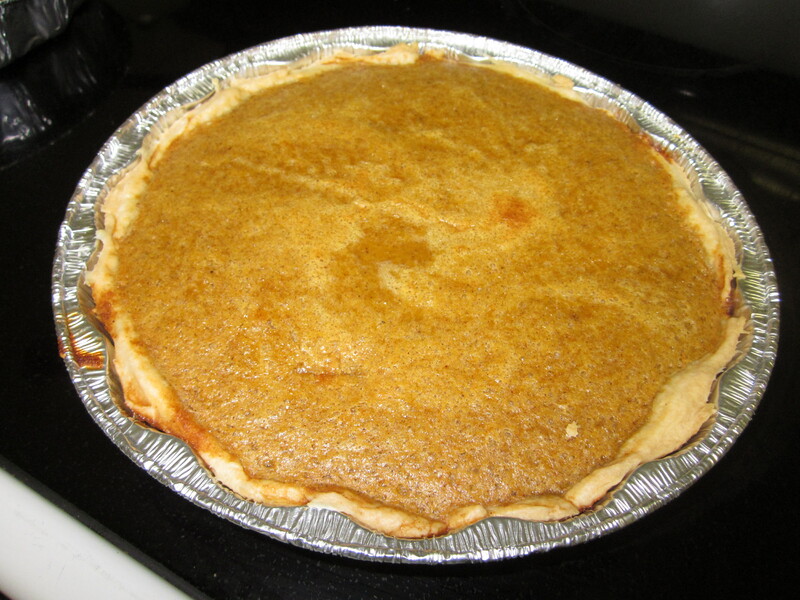 We followed a recipe from an extremely ghetto website called PickYourOwn.org – it’s surprisingly difficult to find a true homemade pumpkin pie recipe anymore. Probably because no one makes them. Anyhow, we used a small pie pumpkin, and be sure to use a “pie pumpkin” because it is much sweeter than other varieties. Cut it up into small chunks, remove the gook (I have so many technical terms) and roast it in the oven, skin on for a really, really long time. How long, you ask? No clue. Turn your oven to about 450 degrees and let it roast until you can push a fork right through the pumpkin with pretty much no resistance. The tops and bottom will burn a bit, but you can just remove these bits. And be sure to save the seeds. Rinse them well, coat lightly in salt and pepper and roast until light brown. Back to the pie. Once you’re done roasting the pumpkin, remove the skin and put the chunks in a food processor. 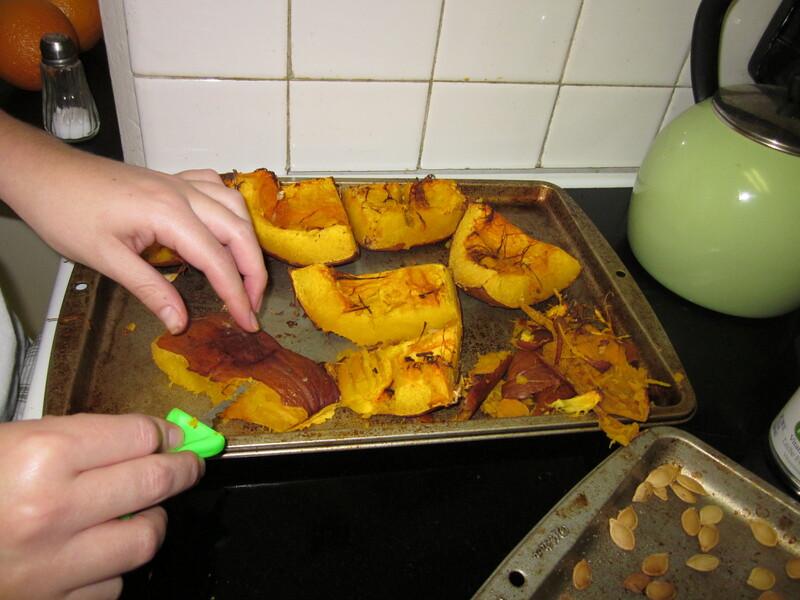 If you don’t have one, try to strain out the pumpkin to get the stringy parts out. 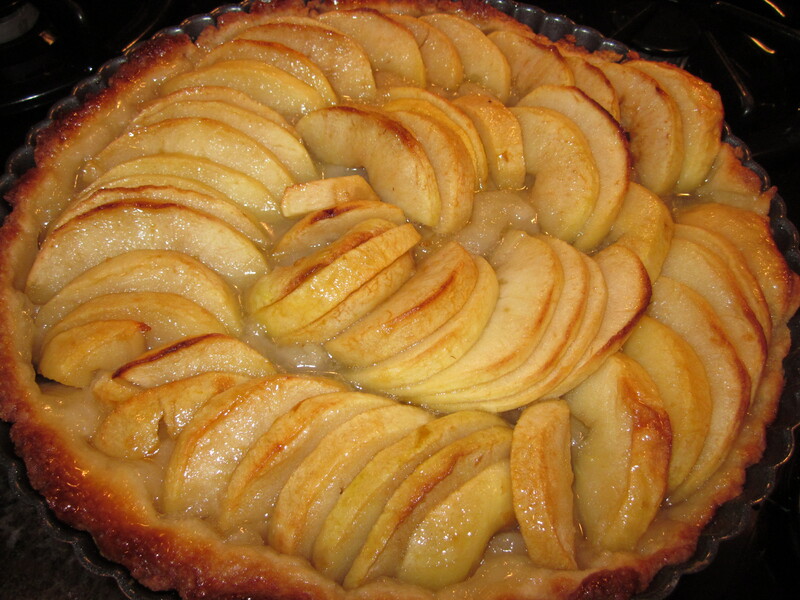 We did not do this and our pie just wasn’t as light and fluffy as it should’ve been. Fill 1 measuring cup with water and drop in a few ice cubes. Let sit. With your hands combine flour, sugar and salt. Dice the butter and slowly incorporate it into the mixture. The result will be uneven with small chunks of butter. Slowly, start to incorporate in the water. We didn’t use it all. The mixture shouldn’t be gummy, just completely mixed together. Knead into a ball, roll into plastic wrap and put in the fridge (or freezer for only 1/2 an hour). Now, on to the pie. Combine all dry ingredients in one bowl and wet ingredients in another bowl. Pour the wet ingredients into the dry and mix together. 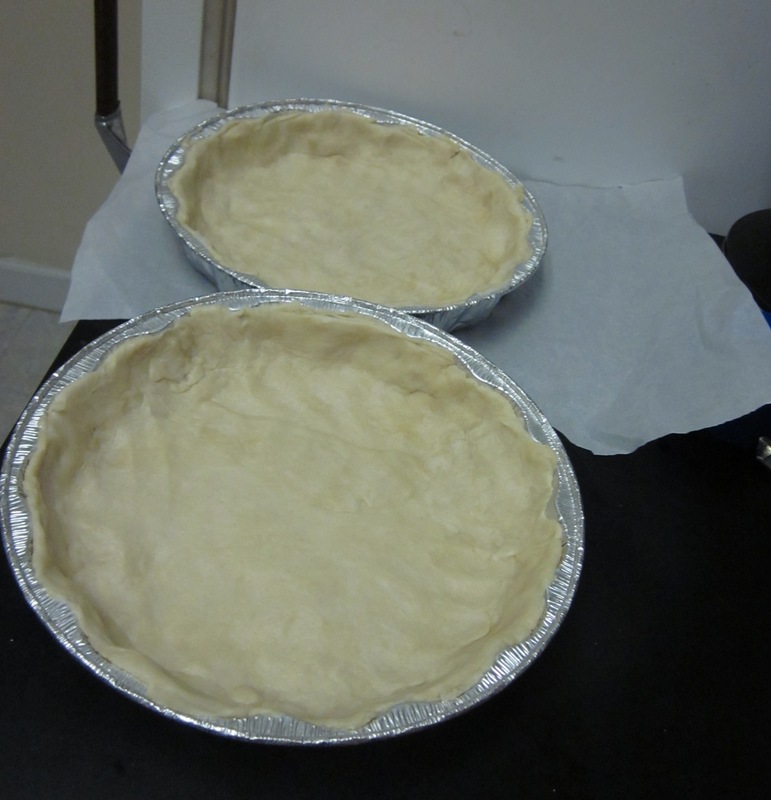 Take the pie crust out of the freezer and roll it out with a rolling pin in a very thin layer. 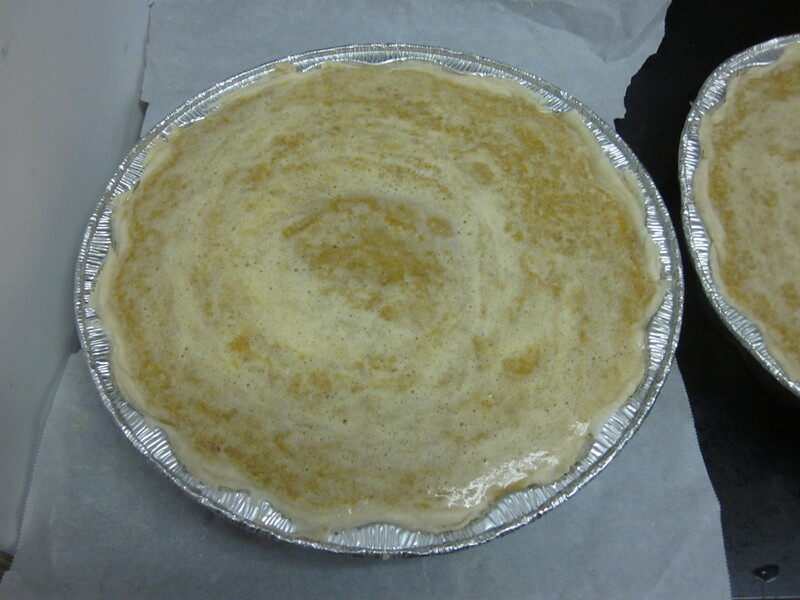 We made two 8-inch pies instead of a deeper 9-inch.